A PlayStation specialist who teaches video games at the college level. Editor's Note: Most of the information below is outdated, as Sony and gamers have moved on to the PS4 generation. However, we think it's interesting to be able to look back at a time when 80GB hard drives sounded enormous - they come in 1TB formats now - and think about how far the gaming industry has come in such a short amount of time. With the announcement of a new 80GB PlayStation 3 404, Sony has released new specs and details for their current systems. The new 80GB and 60GB PS3 specs resemble the previous 60GB PS3 specs, with, of course, the exception of a larger hard drive on the new model. One other notable exception is the lack of an Emotion Engine chip listed in the specs for either the 80GB or 60GB PS3. This has led to the speculation that future production models of the 60GB PS3 are likely to resemble their 80GB counterparts and rely on software emulation for PS2/PSone backward compatibility. Current 60GB and 20GB PS3s have an Emotion Engine in them and thus use their hardware to achieve backward compatibility. Sony claims that the software emulation allows for compatibility with "virtually all" PS2 and PSone games. All versions of the PS3 care compatible with DVD and audio CD playback. All PlayStation 3's are powered by the Cell Broadband Engine, an amazing chip that uses eight microprocessors, allowing it to do many massive calculations at the same time. 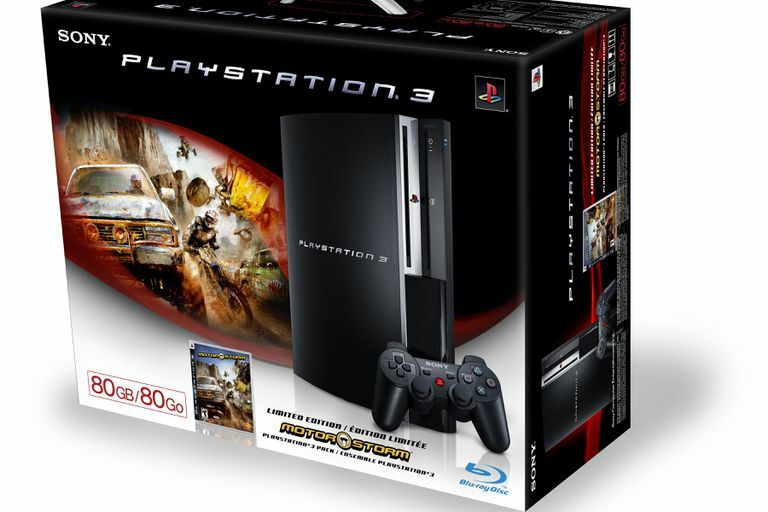 Every PS3 system is equipped with a built-in Blu-ray Disc player which not only allows for more game content but for HD movie playback as well. The PS3 systems ship with a Sixaxis wireless controller. The Sixaxis is a redesign of the popular PlayStation Dualshock controller, but, in addition to being wireless, also features tilt sensors that allow gamers to move the controller to control the action on-screen. For more detailed technical specifications, including performance data, see the original PS3 specs and details. What Made PlayStation 3 the World's Most Popular Home Video Console?